Your outdoor decking will most likely cover the patio ground. But this is not the only alternative. It depends on landscape limitations and space. 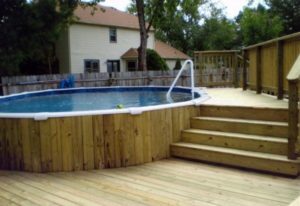 If you have a pool, you might want a deck around it. 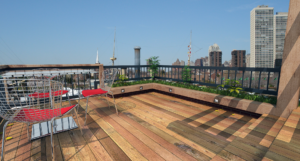 Or you might want a wooden deck in the terrace, on the roof, or the front patio. Or in all the above parts of the house. What to consider? The weather. The less the deck is exposed to the elements the better. That’s why many people also install a wooden pergola along with the deck. You should also consider home proximity. It’s helpful to have a deck right outside your kitchen or living room. Landscape space is often the main determinant of the deck’s size. The larger the deck the better, but you don’t want to occupy the entire yard. And don’t forget that the size of your ipe or cedar custom deck will also determine the price. Naturally, bigger sizes cost more. This might seem like an odd consideration. After all, you build decks to do anything you like. But if you think of your lifestyle, it will be easier to choose the right materials. For instance, if you are planning to spend time with friends and family and have nice dinners and parties, it means more chairs, more traffic and thus a higher possibility of deck scratching. In such cases, you will need a resistant material. And then it’s a matter of whether or not you have kids. In this case, you will also need a reliable deck railing system for their protection. Although today you can find all sorts of material for deck construction, nothing compares with natural wood. Another option is composite decking, which is an ideal solution if you want a very resistant material. Composites are made of recycled plastic and wood fibers, but are not as good looking as real wood. When it comes to that, your cheapest option is pressure treated timber. 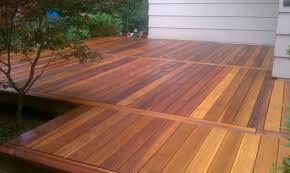 Redwood, cypress, and cedar outdoor decking are also popular options. The best option is always hardwood, like teak or ipe, since they are more resistant and long-lasting. A deck contractor will help you with the style and design based on yard size. But it’s good to have an idea of your own of whether you want a round, rectangular or square deck. If there is a need for stairs, do you want them wide? The deck must complement the architectural appeal of your landscape. Don’t underestimate the importance of deck accessories, like railings, fencing, lighting and roofs. Don’t forget that the lights must be designed for outdoor applications. Prefer cold temperature lighting bulbs if you plan to read outdoors. And don’t forget that extra structures, like a custom pergola will offer better protection.